In my previous entry for this blog I rounded up a list of excellent geological knitting patterns, ending with the amazing life sized crocheted head of Darwin. I promised you all something a little easier, and today I’m here to deliver. 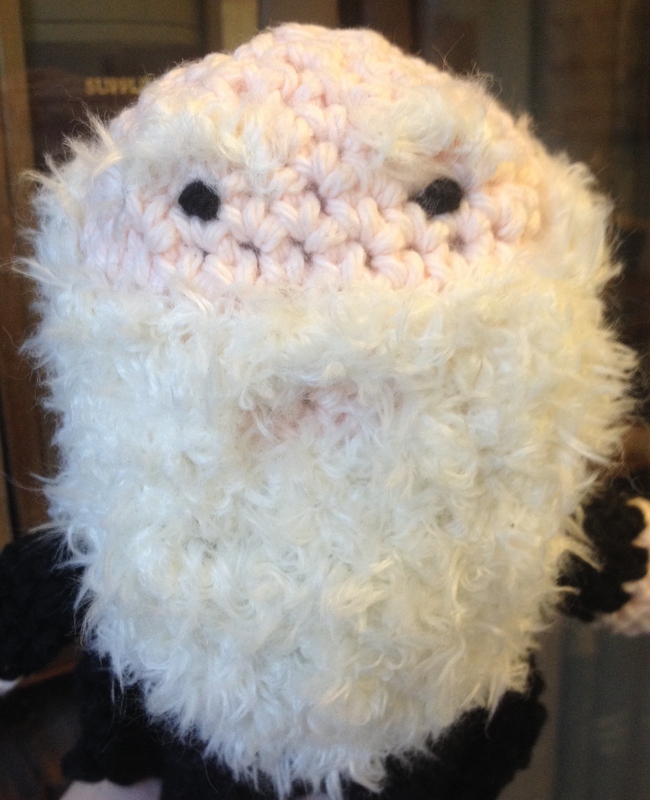 Without any further ado, I give you: Mini Crochet Darwin! 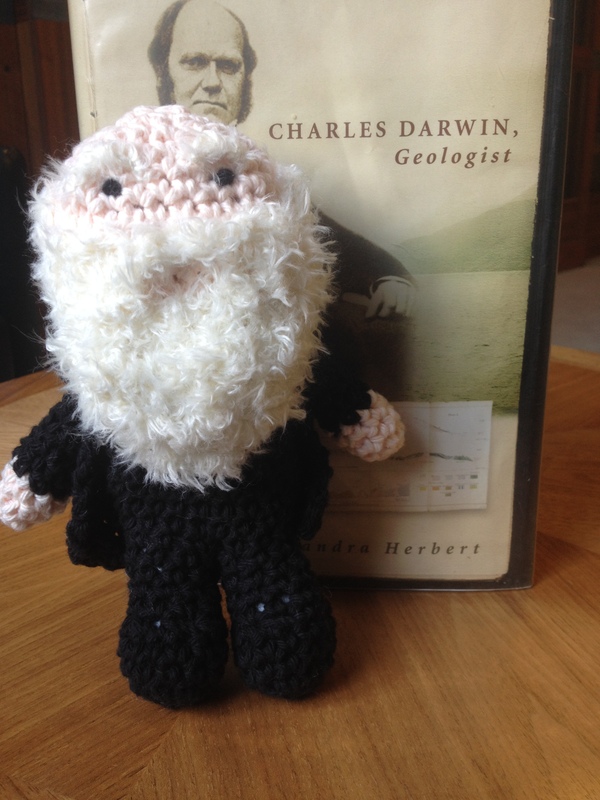 Coming in at seven inches tall, with the magnificent beard and somewhat over enthusiastic eyebrows of his later years, mini Darwin is frankly the best thing I’ve ever made – and I’ve written out my pattern so you can make one too! See the bottom of the post for the download link. He’s quick to make, taking up an evening or two, and very economical with yarn – plus, his beard is just as fluffy as it looks. I could go on, but instead I’ll just give you some more photos! 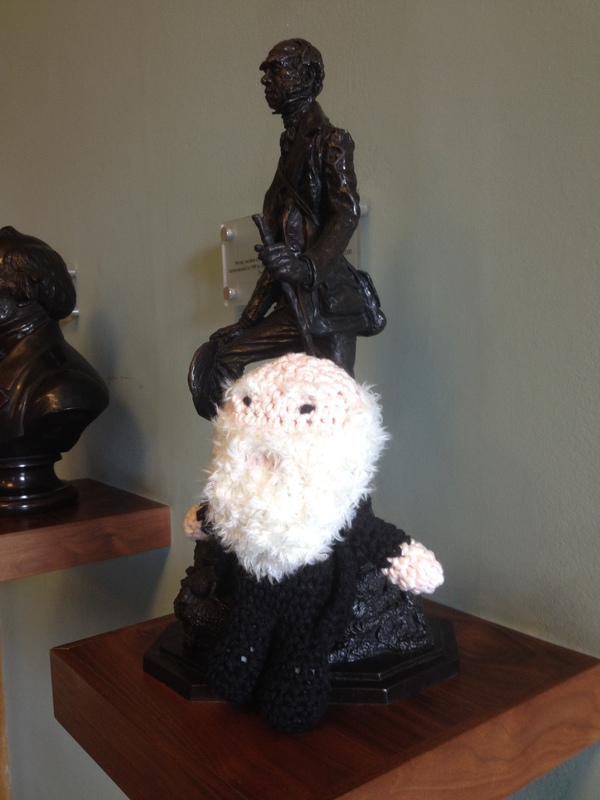 Darwin meets his former self and waxes nostalgic on the expeditions of his past. Concerned Darwin might get lonely? Keep an eye on the GeolSoc advent calendar for more mini geologists coming soon. If you make your own, we’d love to see them! Use #geocrafting on Twitter (or Ravelry!) so we can all bask in the wonder that is having a pocket sized Darwin. The pattern is completely free! Best of luck! Well done to the several of you who correctly identified yesterday’s window as Bath Spa – Clark Fenton is still in the lead with 2 points, but Rallish is hot on his heels with 1! 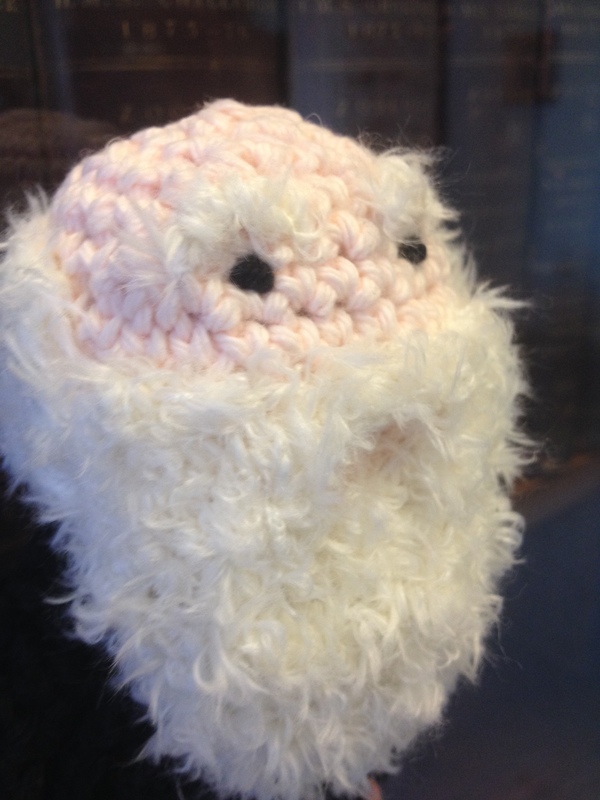 Tags: advent calendar, crochet, crochet your own geologist, Darwin, knitting. Bookmark the permalink. 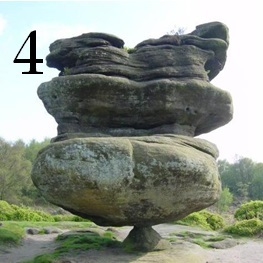 Door 4: Brimham Rocks I think?